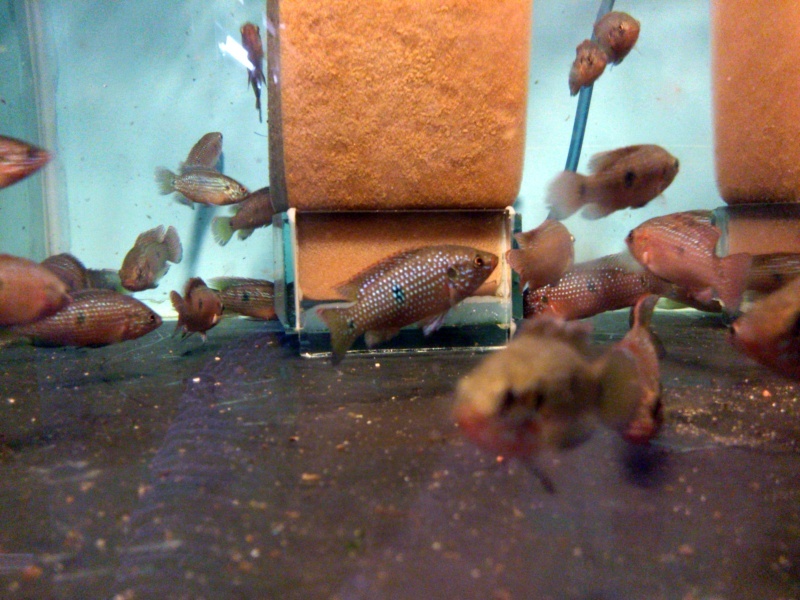 Discussion in 'African Cichlid Identification' started by Boupette, May 26, 2013. Hello there! I would need those Hemichromis to be identified please. Thanks! Well, hemichromis can often be a pain to pin down as to species but these are almost positive to be h. guttatus, as are most jewel cichlids in the hobby. Where did you get them? They show a close kinship to the strain of guttatus that I have maintained ( off & on ) since 1970. Do you happen to have a shot of a pair in breeding dress? 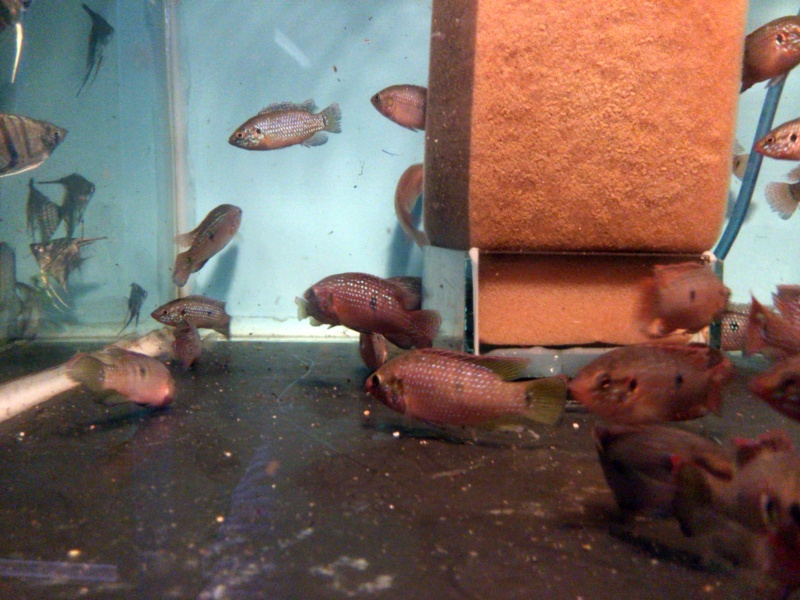 The females seem to show a little more sexual dimorphism than is normally the case for aquarium strain guttatus. BTW: angelfish are not the best tankmates in the world for hemichromis who tend to be a tad 'fin-nippy'. Oh no, the angels tank is a different one! lol This a is the only pics I have unfortunatly. Thanks! It's quite obvious that the angels are in a separate tank if you actually take the time to look . Merely a case of my being in a hurry.